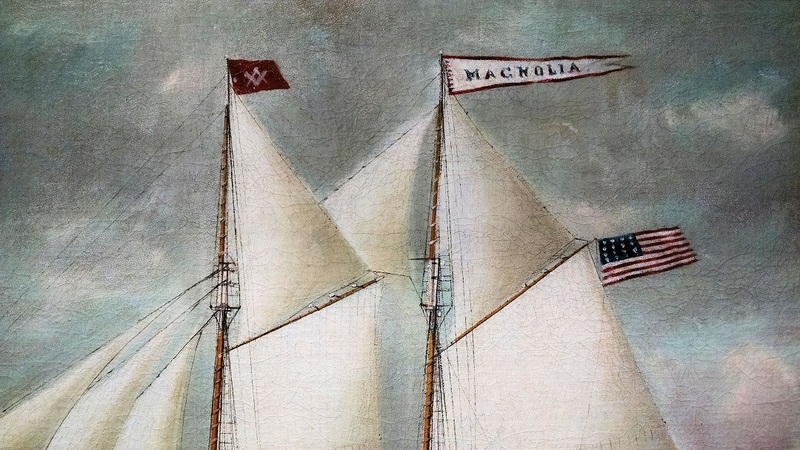 "Portrait of the Schooner Magnolia" by William Pierce Stubbs Civil War Vessel Masonic Flag. 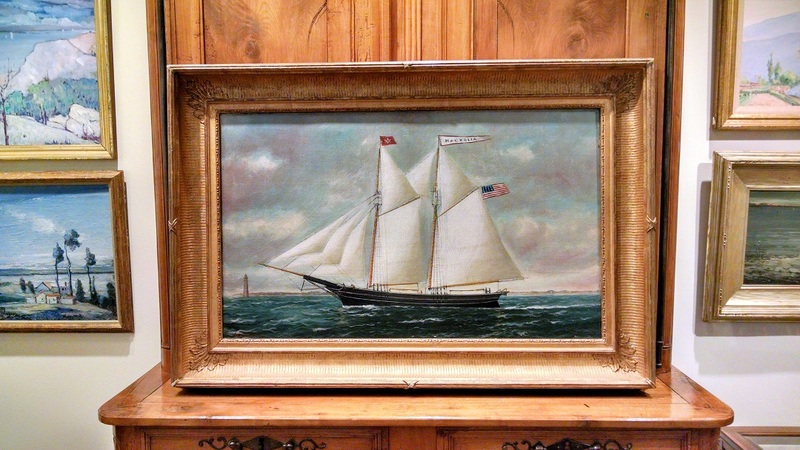 "Portrait of the Schooner Magnolia" oil on canvas by William Pierce Stubbs (1842 - 1909) This is a famous Civil War Schooner. 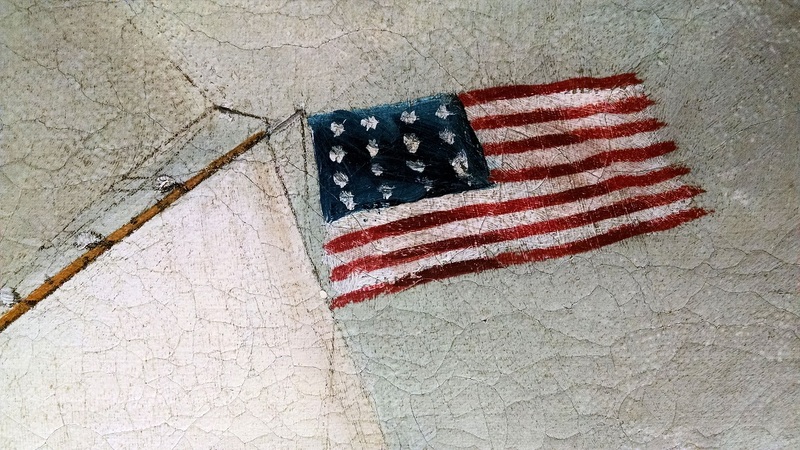 It has the American flag, and the Masonic Flag. Signed lower left. Housed in a Gilt Frame. 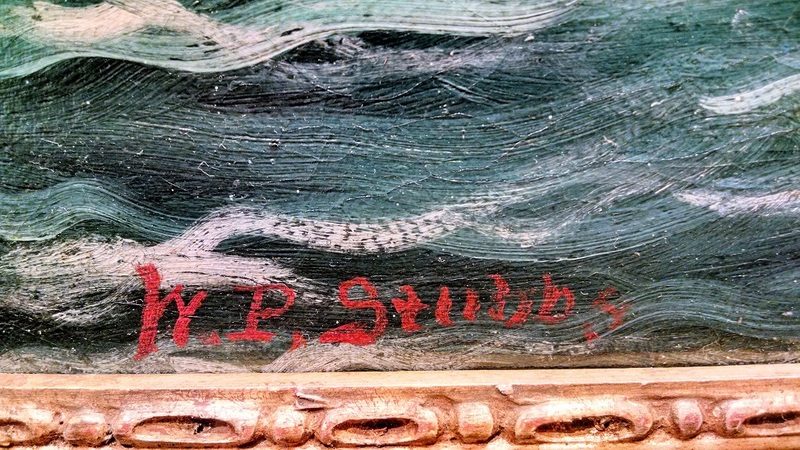 Born in Bucksport, Maine to a sea captain and shipmaster, William Pierce Stubbs became the master of his father's ship in 1863, a post he held for ten years. 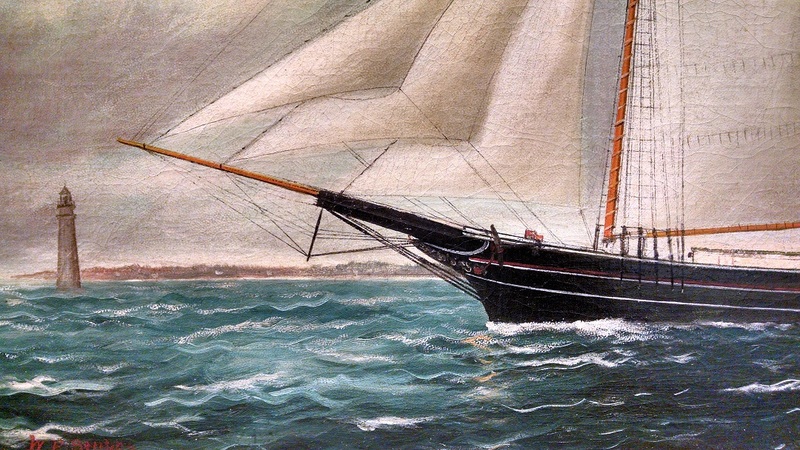 He was self-taught as an artist, painting his first ship portrait in 1871. 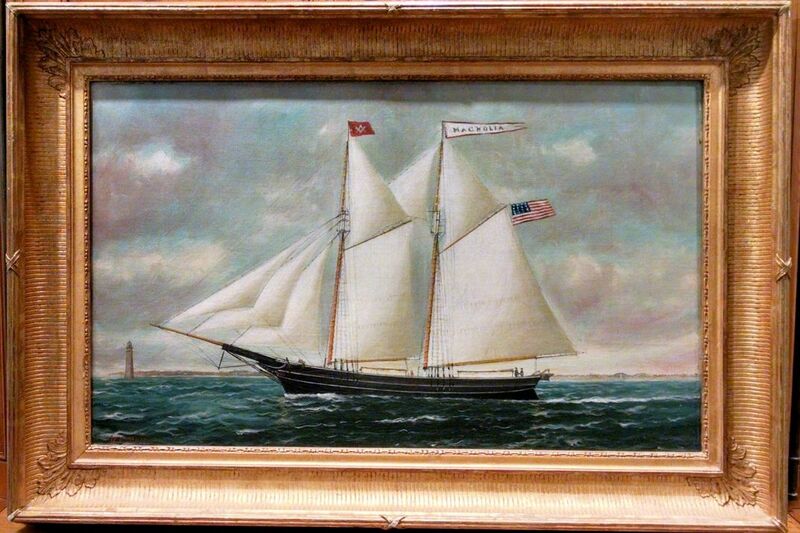 By 1876 he was listed as a marine painter in the Boston city directory. 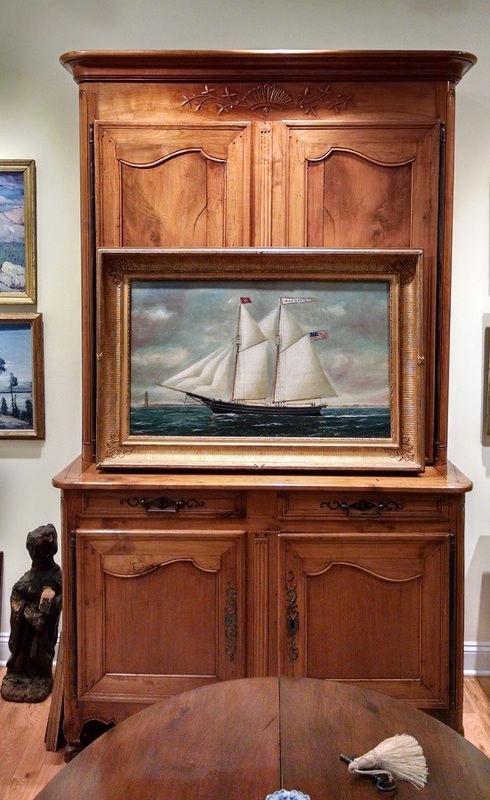 He shared a studio with marine painter Wesley Webber and had studios variously in Boston, East Boston, and Charlestown, where Samuel Badger was his student. 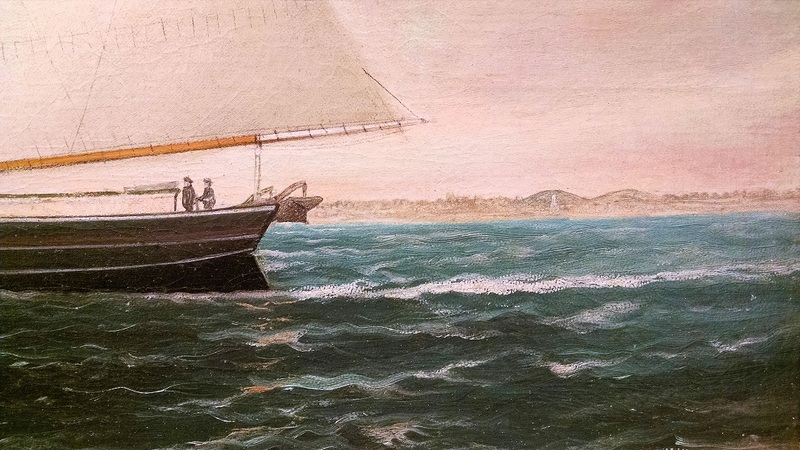 His early paintings were genre scenes of seaside life in Bucksport, but he later became known for his ship paintings in the tradition of popular ship portraitists. 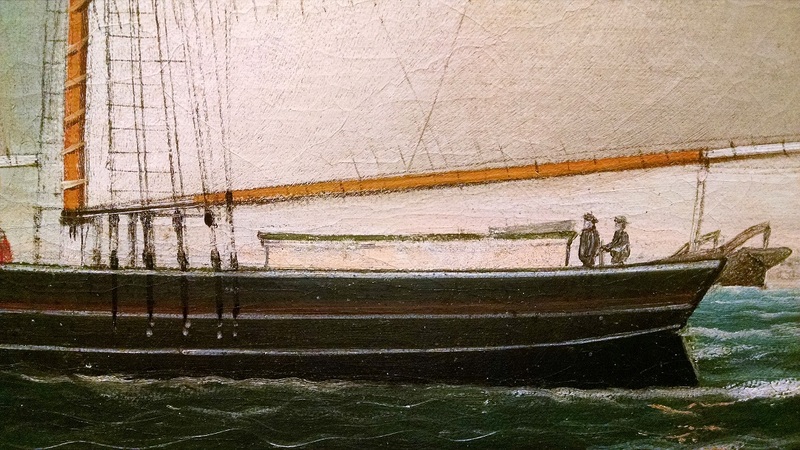 Among his many early works were paintings of the whaling fleets of New Bedford and Nantucket. 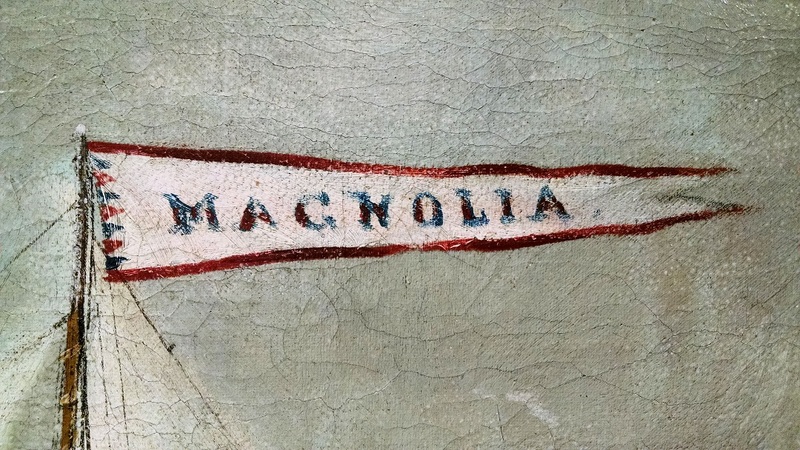 After 1887, Stubbs developed "melancholia," showing signs of manic-depression following the deaths of his wife and daughter. His work appeared at the International Maritime Exhibition in Boston in 1890. 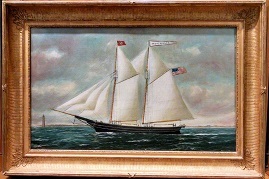 Stubbs participated in the International Marine Exhibition of 1889, in Boston. 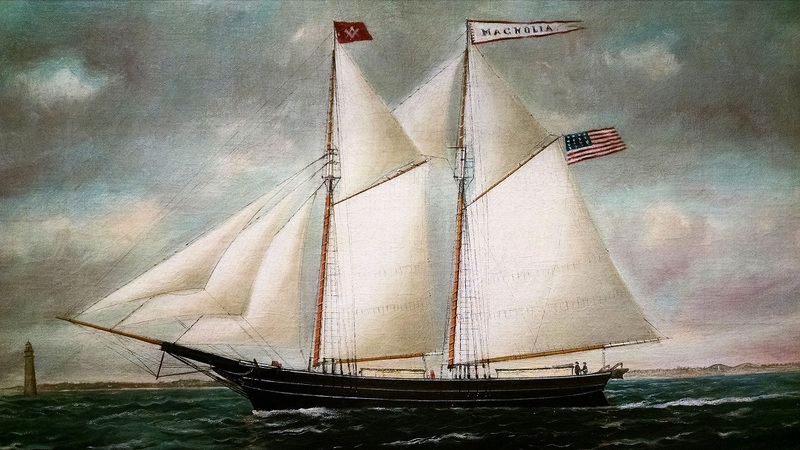 His paintings are held in the collections at the Mariner's Museum, the Mystic Seaport Museum, the Beverly Historical Society, the Philadelphia Marine Museum, and the Smithsonian Institution.